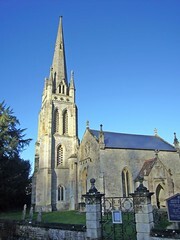 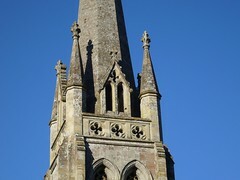 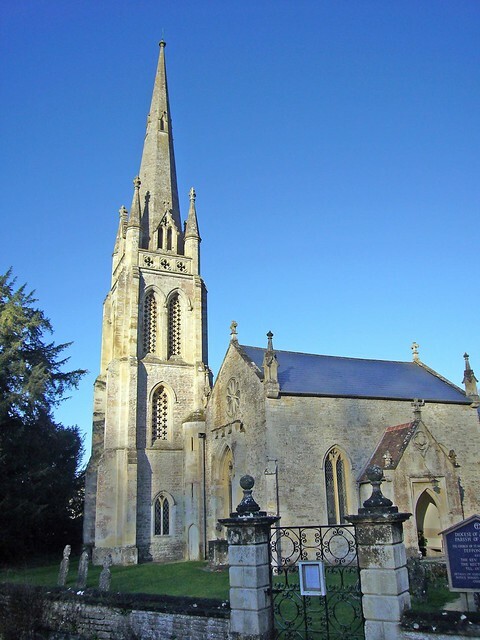 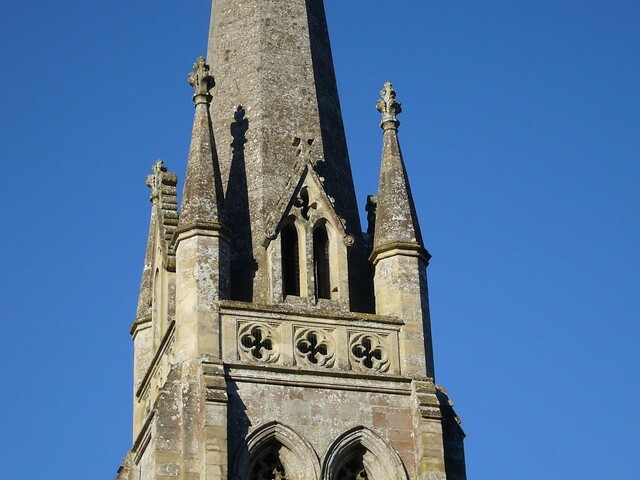 Bird Management Solutions was asked to remove Pigeon fouling and install proofing to this Norman church in Teffont Evias, Wiltshire. 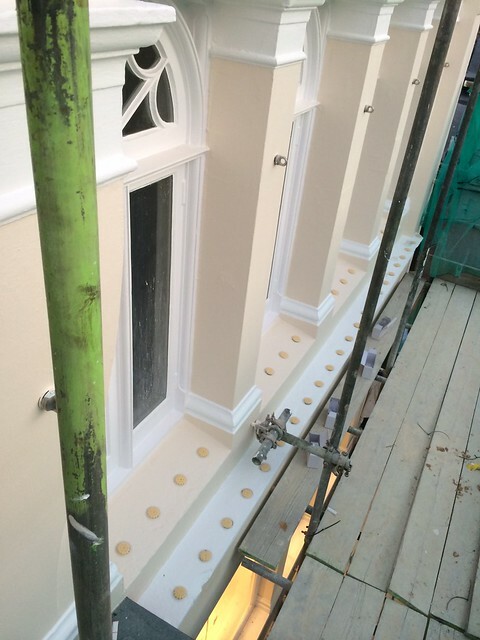 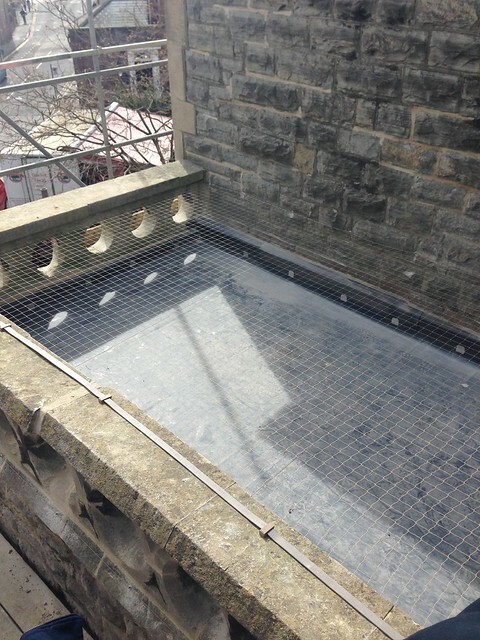 Stone coloured netting was used to ensure the proofing was as discreet as possible. 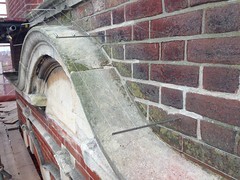 Once installed, the proofing was barely visible from the ground. 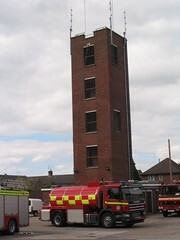 Pigeons had been nesting in this fire drill tower in Evesham. 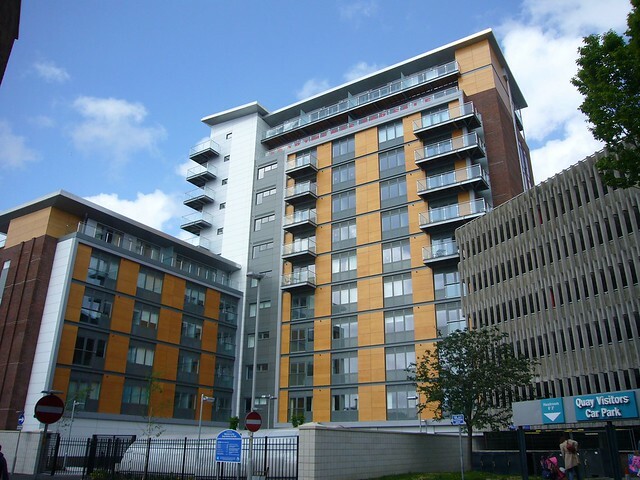 Pigeon fouling was removed from every floor of the drill tower before being treated with a biocide. 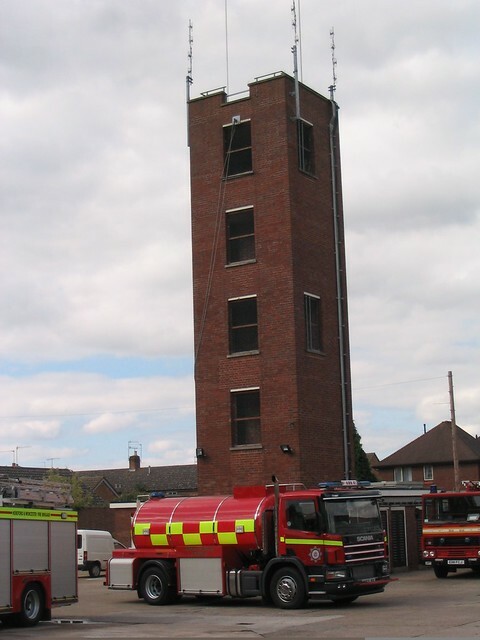 The fire service wanted a pigeon proofing solution that could be removed when the tower was being used. Bird Management Solutions designed and fabricated these removable steel mesh panels. Housemartins had been nesting in the eaves of these stables in Wiltshire. 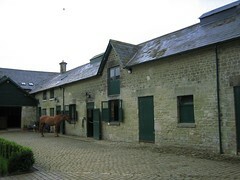 Their droppings were proving to be a health hazard for the horses. 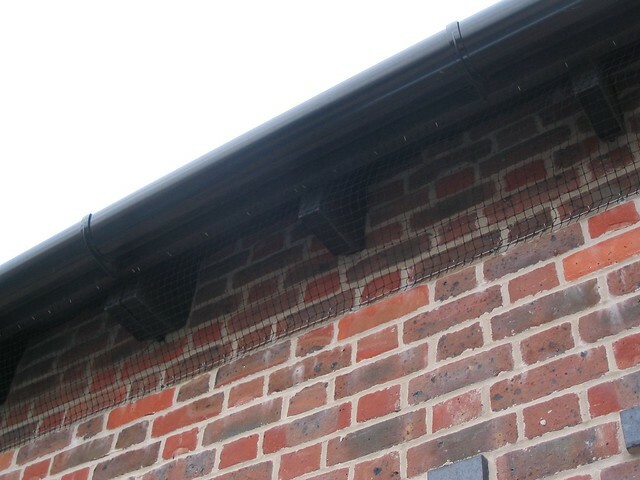 Once the housemartins had left their nests, netting was installed to the sections of eaves above the stable doors. Sections were left unproofed at the back of the stables to allow the martins to nest there and to allow bats access to the roofspace. 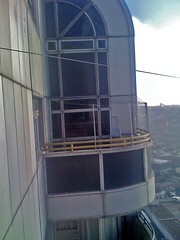 Netting to prevent Herring Gulls nesting on the top of this lift housing in Poole. 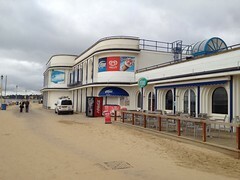 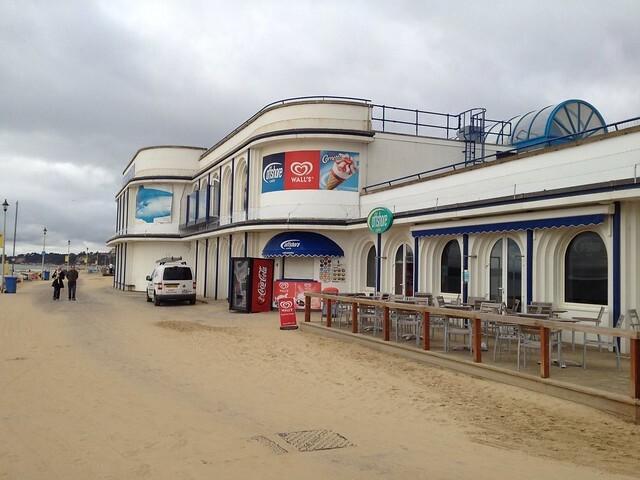 In 2007, Bournemouth pier underwent a refurbishment. 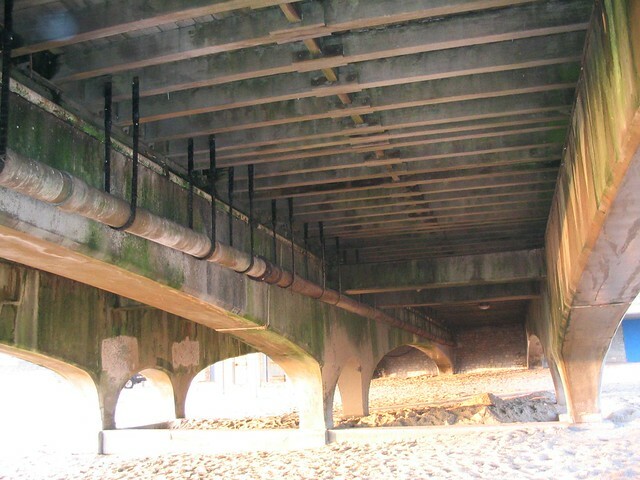 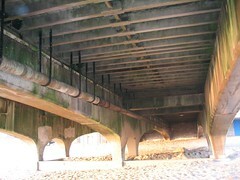 As the old decking was removed, Bird Management Solutions was called in to remove over two tons of Pigeon fouling. 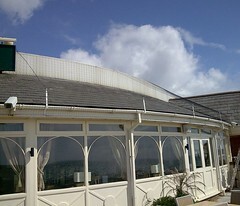 Pigeons had been perching on the roof of this pub in Bournemouth. 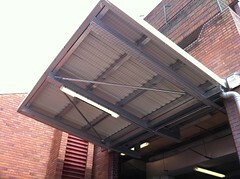 This was a potential health risk to customers who were eating outside. 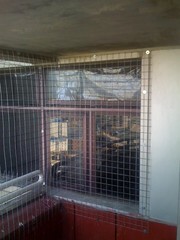 Netting was installed on the roof to move the pigeons away from the eating area. 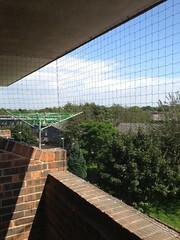 Pigeon netting to a top floor balcony at a flat in Swindon. 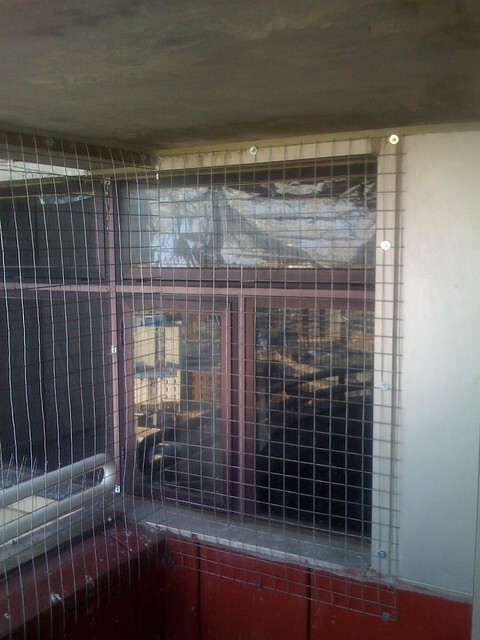 A slightly unusual request - Steel mesh was installed to this balcony to prevent a customers pet parrot from escaping. 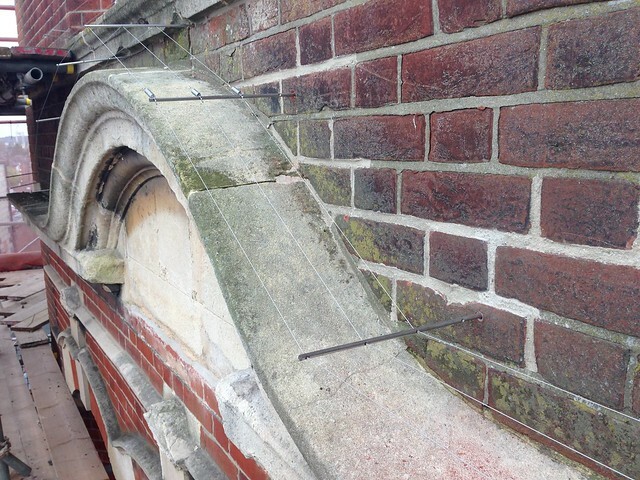 Pigeon proofing at Bournemouth Library. 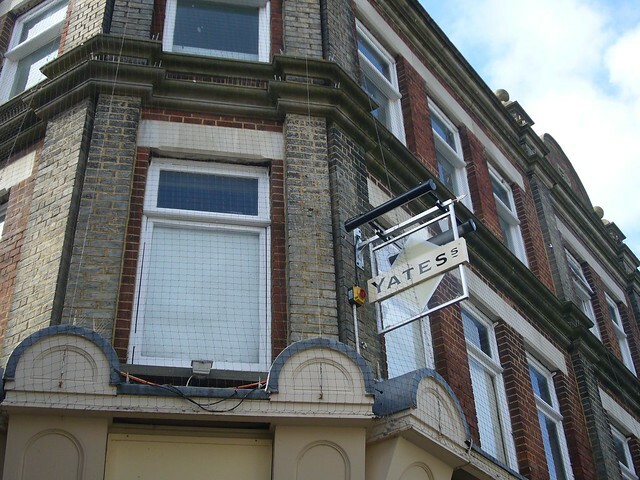 A vertical 'face' net was installed to this pub in Poole. Orchard Plaza, Poole - Bird Management Solutions installed a post and wire system to prevent Pigeons perching on this new development. A discreet post and wire system was used to prevent pigeons from perching on the ledges. 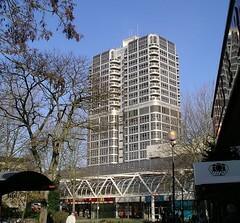 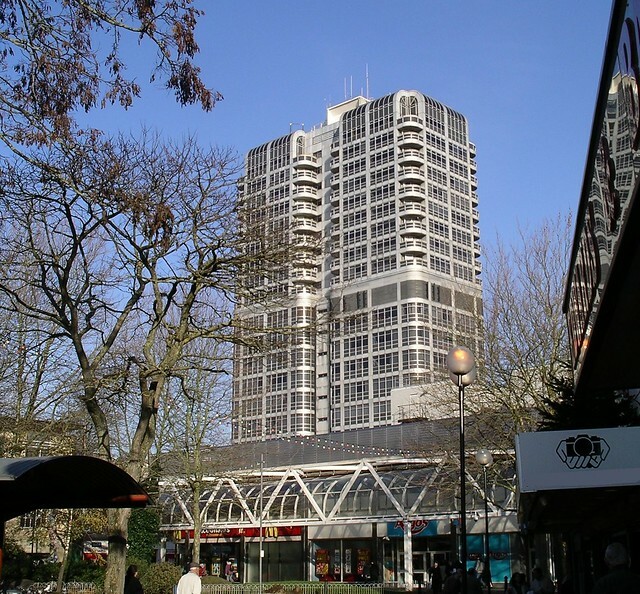 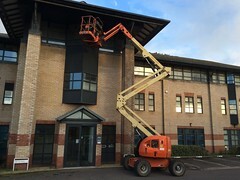 Pigeon netting was installed on the balconies of the David Murray John building in Swindon. 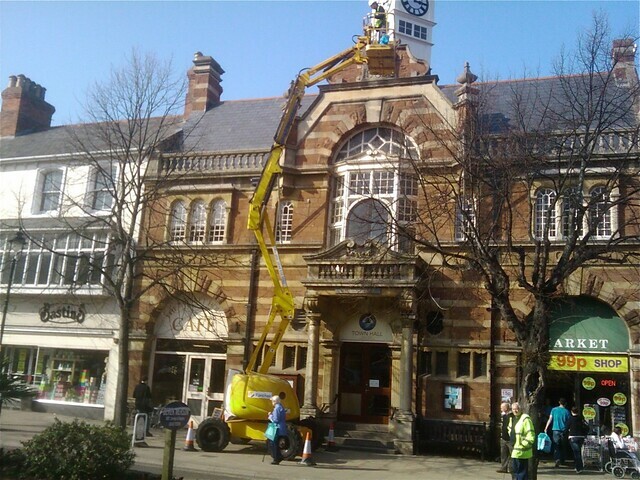 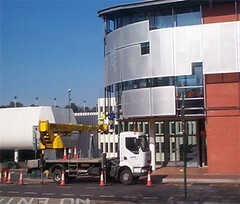 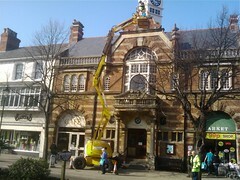 Installing pigeon proofing at the town hall in Minehead, Somerset. 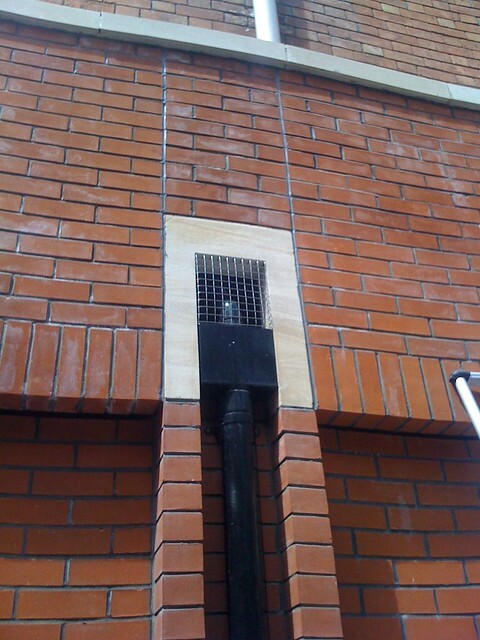 Stainless steel mesh was installed to prevent pigeons from nesting in these rainwater hoppers at Swindon Library. 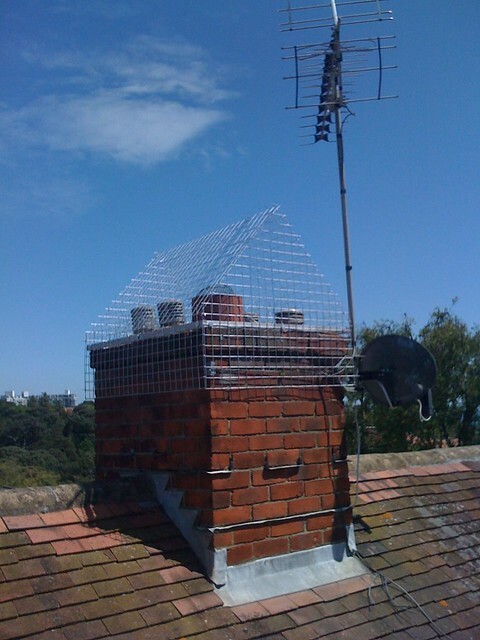 A steel chimney cage to prevent Gulls from nesting on top of a chimney stack in Bournemouth. 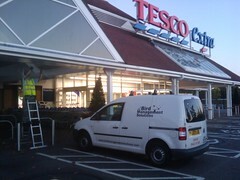 Pigeon netting at a Tesco Extra store in Hayes, Middlesex. 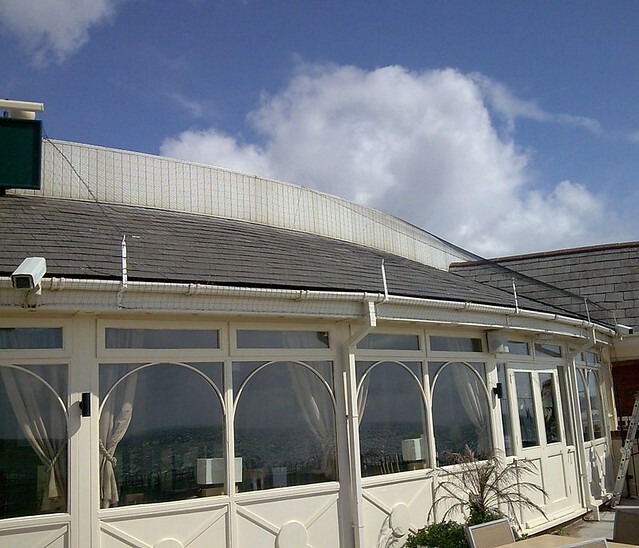 Pigeons were perching on the edge of this ledge overlooking the eating area of the Oceanarium in Bournemouth. 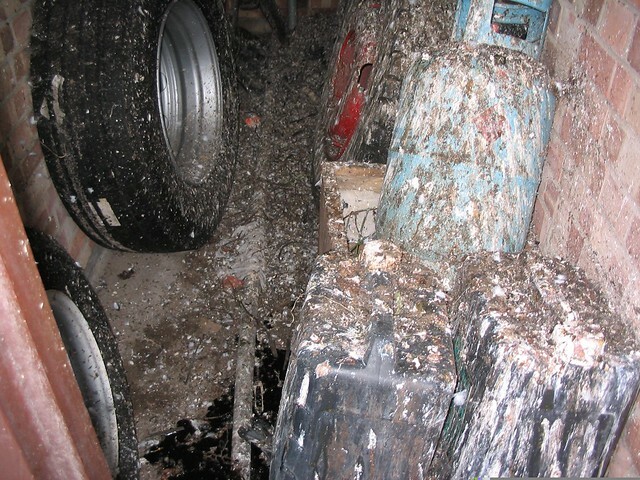 This was both a nuisance to customers and a potential health risk. 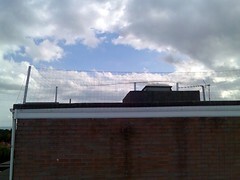 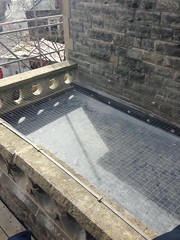 We installed white pigeon netting to the ledge to move the pigeons away from this area. 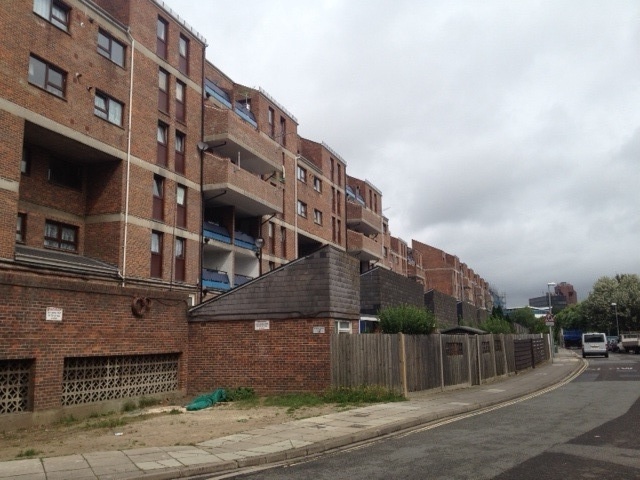 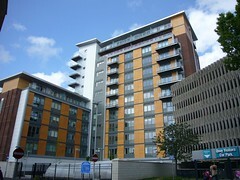 Netting and Spikes were installed to this block of over 200 flats in Portsmouth. 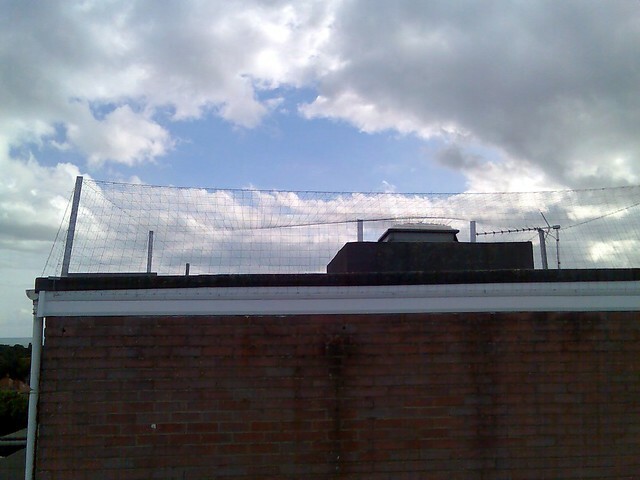 Balcony netting at the site in Portsmouth. Netting installed to prevent pigeons from perching on this canopy above a loading bay at a shopping centre in taunton. 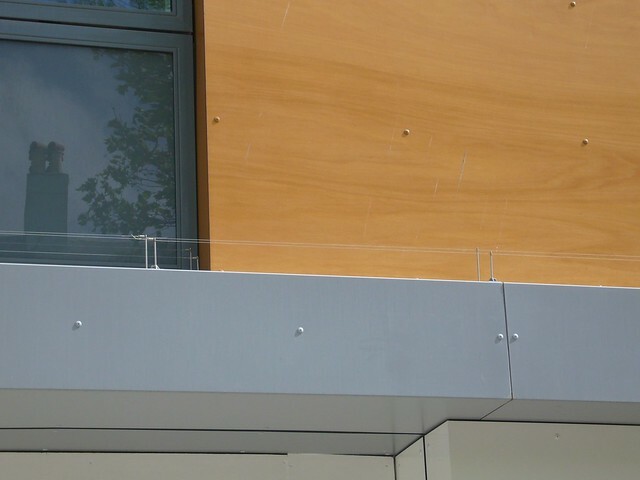 Instead of using multiple rows of spikes or wires to proof wide ledges, these horizontally installed ‘drilled rods’ can be used. 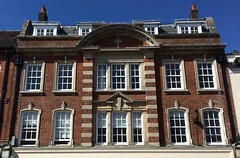 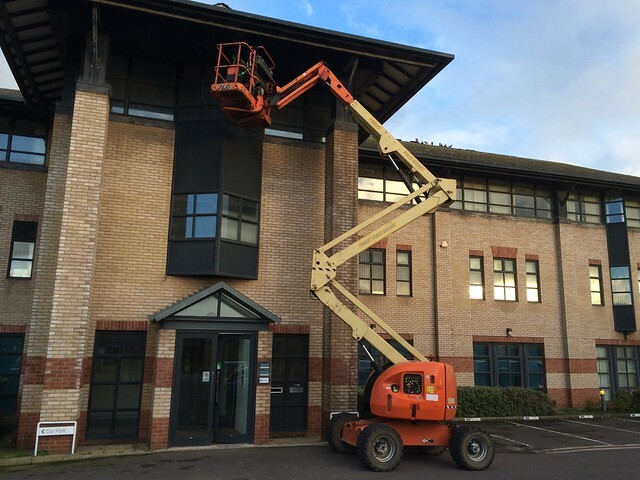 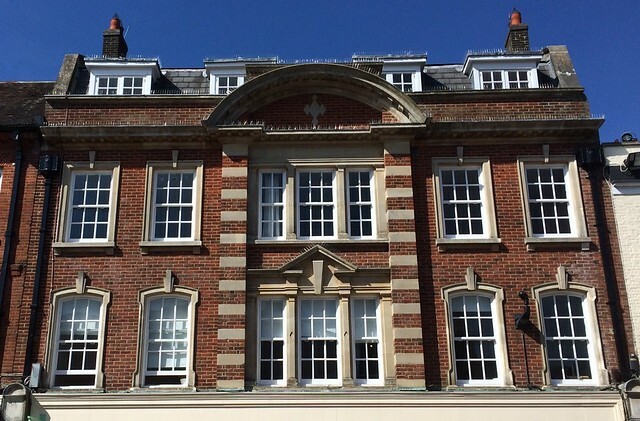 We were asked by Milsted Langdon chartered accountants in Taunton to install proofing to prevent Pigeons from landing on their windowsills and roosting under the eaves above the main entrance. A combination of Netting, Spikes and a post and wire system was installed on this building in Winchester. 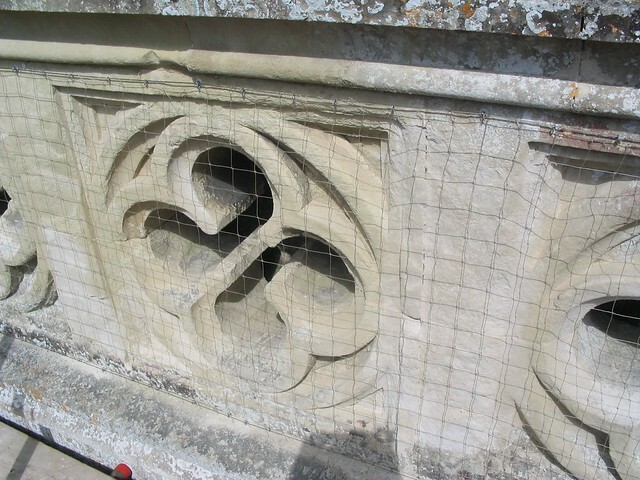 Stone coloured netting was used to prevent Pigeons from landing on the flat roofs at Poole Methodist Church. 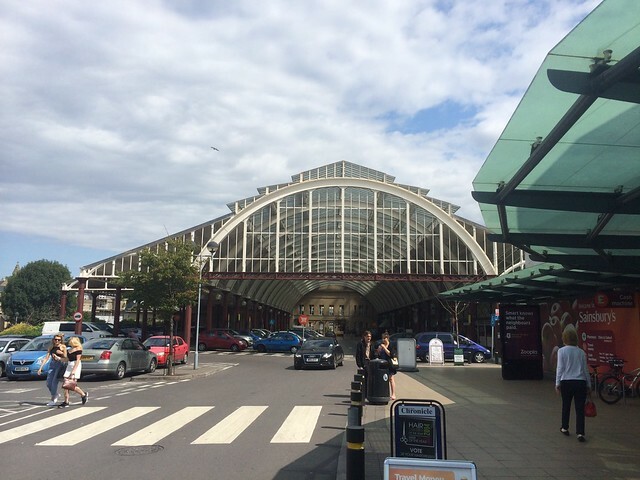 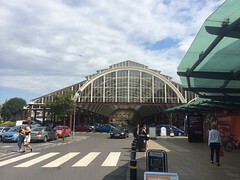 In July 2014, Bird Management Solutions were asked to provide a solution to a pigeon problem at Green Park Station in Bath. 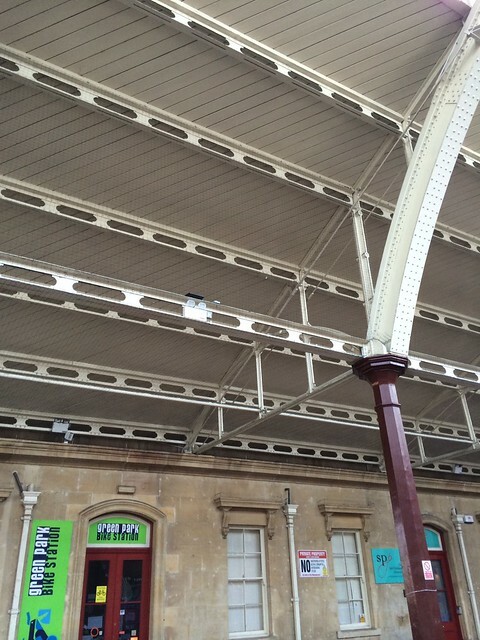 Pigeons had been roosting on the girders up in the roof of this 19th century train station. 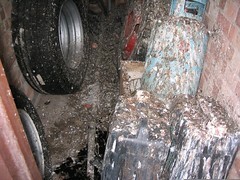 This was causing pigeon fouling to build up on the floor and the market stalls below. 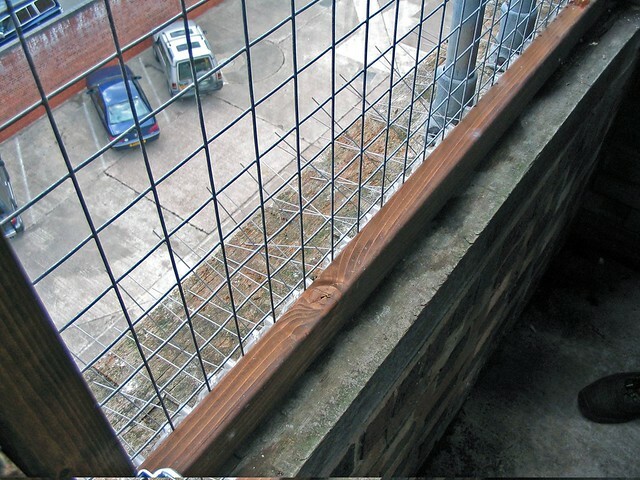 50mm Pigeon netting was installed both horizontally and vertically to seal off the areas above the walkways. Installing netting like this is often the most cost effective method of proofing large areas. An installation of ‘Fire Gel’ in the centre of Bournemouth. 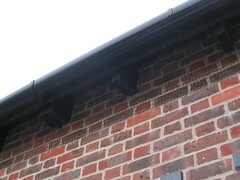 Fire Gel is a more discreet option than spikes. 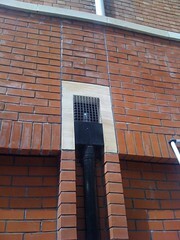 It works by emitting an invisible vapour thats scares pigeons away. 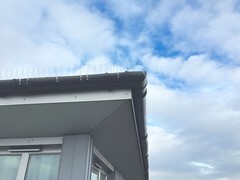 Pigeon spikes installed in guttering at a property in Andover. 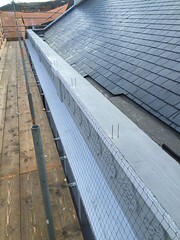 Pigeon nettting and a post and wire system installed at The Greyhound pub in Bridport, Dorset.